When I was a young seeker after spiritual liberation I was a solo act. There was no doubt that I desperately wanted Enlightenment, but I wanted it for myself alone. In those days I would go to as many long and intense Buddhist meditation retreats as I was able. When the retreat center staff saw me returning again and again, they would ask me if I wanted to do some “Seva”. Would I like to volunteer to work in the kitchen this time instead of sitting, and support all the others who have come here to meditate? I never said yes. I only wanted to be in the hall, meditating as if my life depended on it, in front of the large statue of the Buddha. It was enlightenment or bust. There was no time to waste doing anything else. For me it was a life and death matter, and I had no patience for anything else. I was one-pointed, but I was also self-centered in my passion for my own salvation. I didn’t want to join any group because I didn’t want my freedom to be curtailed by rules that were not my own. I just wanted to be free. Alone in India in 1984, I found myself in the Holy town of Rishikesh on the banks of the river Ganga. Rishikesh is the heart center for yoga in India and in the world. After being there for only a day I found myself sitting in the Satsang hall of the renowned Sivananda Ashram listening to a talk by one of the main disciples of Swami Sivananda. Swami Krishnananda is a physically small man, but an enormous and powerful character. At that time we did not know each other, but he would later become one of my mentors. That day he gave a long lecture, the contents of which I cannot remember. But something happened at the end of his talk, and his words still echo in my mind to this day. He repeated the phrase over and over, and it sent me into a deep trance. When he finished speaking I could hardly get up to leave. When I eventually did, I slowly stumbled down the stairs outside and down to the river, trying to catch my breath and figure out what had just happened. Now, almost 34 years later, it’s clear to me that the Swami’s invocation “…come together, come together, come together, in unity there is strength, come together!” arises directly from the creative impulse of the cosmos itself, directly from the mind and heart of God. When we dare to look through the lens of the process perspective, the lens of evolution itself, what we see is that the entire creative unfolding of the cosmos is a dynamic expression of exactly what the Swami was pointing us to. The movement of evolution at all levels is a developmental ascent that is reaching inexorably towards ever greater complexity and integration – and in that, ever greater unity or oneness. When we look at how consciousness evolves as it ascends upwards through the structure stages described by Integral philosophy, we see very clearly this movement from lesser to greater complexity; a reaching towards greater inclusiveness, unity and oneness. When members of African tribes become Christians, their self-concept expands significantly. In that context, the big leap is from seeing self as confined only to those with whom we share the same blood, to those who share the same conviction in the mythical story of Jesus. The human family expands, becomes more inclusive, embracing more souls than the previous identity. More of the universe, more of the totality of reality, becomes recognised as “self”. In the very same way, when highly educated, postmodern spiritual practitioners take the enormous developmental leap from the self-concept of world-centric or globalised human, to the vast Kosmocentric perspective of evolution itself, a huge transformation occurs. For the first time, we are able to see the world we live in, and indeed the entire universe, from the perspective of the energy and intelligence that created it in the first place. We see the entire creative process and all of life as part of our very own self. We now include it ALL when we think about the meaning of “I”. As consciousness evolves, it becomes ever more inclusive in its capacity to embrace more and more of the universe, more and more of reality in its self-concept. This drive towards greater inclusivity is simultaneously a drive towards greater oneness. The evolutionary impulse is the driver of this movement towards greater complexity, inclusiveness and unity. This impulse arises from the soul of the universe, the heart and mind of God. It was the sound of this call to greater complexity and unity that the Swami was pointing us to on that day in 1984. Famously, when the Buddha was asked if association with like minded people is a part of the Holy life, his response was that association with like minded people is the whole of the Holy life. It took me a long time to be able to deeply grasp the meaning of his words. At the beginning of my own teaching career, people started gathering around me almost instantly, expressing a passion to be together. They wanted to be together in the living fire of the Dharma as it was being lived, felt and directly realized. At first I was puzzled, because I didn’t yet understand what this desire to be together was all about. The creative energy and intelligence that gives rise to the universe is endlessly and passionately seeking for itself. It wants to unite with itself at ever higher levels of complexity and oneness. The perennial desire in the spiritual seeker to come together with others in the quest for higher consciousness is nothing less then the felt passion of God to know herself and realize herself, in and through form, endlessly and relentlessly. The arising of spiritual community, of Sangha, of intimate and committed gatherings of all sorts in the name of God or Spirit is driven by this very principle. At its core, the call of spirit is radical and uncompromising. God as absolute nonduality doesn’t recognize individuality or relative circumstance. She only is aware of herself as one without a second, one without a second that is evolving, complexifying and becoming more of what is endlessly possible. It is for that end that we are called to come together at ever higher levels as one. It is for that end that our conscious participation is always urgently needed. This uncompromising call of Spirit is the source of the greatest freedom because it is a call that is absolute. It is the same call that compelled humble fishermen to abandon their families and responsibilities to follow Jesus; the promise of coming together in the context of eternity. It’s why so many men and women left the world behind to follow Gautama the Buddha and live the Holy life; in this context, the promise of Nirvana became a real and achievable goal. I’m not advocating the same need to leave the world behind, as the followers of some of humanity’s greatest realizers did thousands of years ago. But I do believe that these extraordinary higher potentials in consciousness are always waiting to become manifest whenever the conditions are in place for them to do so. 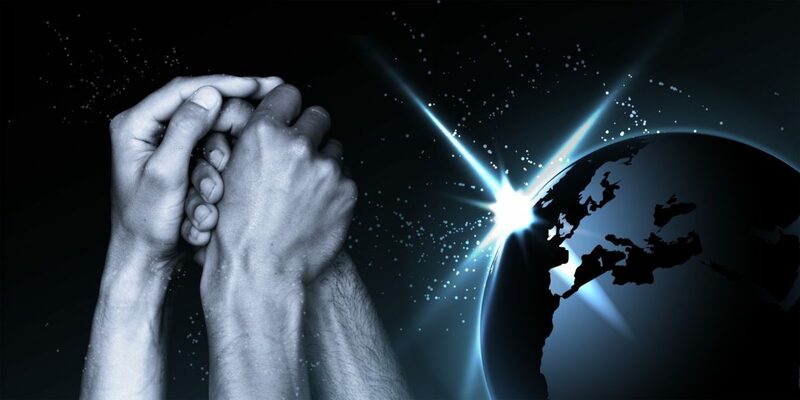 The call to come together for the sake of our shared evolutionary potential is coming from the soul of the universe itself, and it is as loud as it ever was.